After a year of prayer and reflection, London City Mission looks to the future and refocuses its ministry to make a greater gospel impact. London City Mission’s first missionaries showed incredible courage in their commitment to those in need, caring for them as they suffered and died of cholera, and sharing an eternal hope in their darkest hour. With courage, compassion and commitment, generations of missionaries have followed in their footsteps, reaching out to the least reached in the name of Jesus in communities across this city. Over the past decades London has changed dramatically. Many of the districts we work in have changed beyond recognition. But the gospel need remains – and our vision, to take the gospel to London’s least reached and hardest to reach people, remains the same. Because of its diversity, London is a unique mission field, and one of the world’s most strategic cities for world mission. A city of great need, yet a city of enormous gospel opportunity. What is London City Mission’s unique calling, and what can we contribute to mission in London that others can’t? 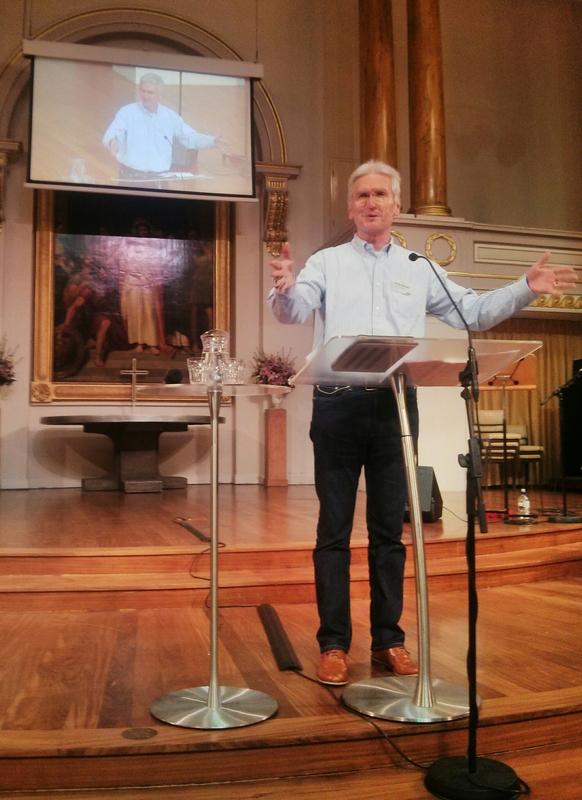 How can London City Mission have the biggest possible impact for the gospel in London? How can London City Mission make the very best use of the resources, skills and experience God has given us for mission in London? London City Mission is primarily a gospel organisation. We have been and always should be focused on sharing the good news of Jesus Christ with people in London. Our calling has always been to the least reached of London, and we need to make sure that our work is focused on those who are in the hardest to reach communities of this city. Our ministry must serve God’s church in London, and our activities need to aim for partnership and collaboration in evangelism and discipleship. Our prayer is that we will see an increasing number of Christians in London engaging in gospel work! Jesus told the disciples they would be his witnesses in ‘Jerusalem, and in all Judea and Samaria, and to the ends of the earth.’ To apply this to the church in London today: Jerusalem is where we are based, and implies friendship with and evangelism to people like ourselves; Judea is church planting just down the road to people quite similar to us; and the ends of the earth is world mission. As Christians we are good at reaching those who are like us, at planting churches and at sending people overseas, but what about Samaria? Reaching Samaria is about sharing the gospel with people who are chalk to our cheese, those who may be geographically close but are a million miles away in culture, tradition or lifestyle. I sometimes fear that this part of the Great Commission has fallen on deaf ears. As we look to the future and think about our ministries, London City Mission will increasingly focus on London’s ‘Samaria’ – those people who are more often than not the least reached of this city. This ministry focus will mean change for us as an organisation, change both to where we do mission andhow we do mission. Who are the least reached? We are encouraged by the gospel work that is going on in London. Churches are growing, and there is much emphasis on new church plants. But in the midst of this great gospel effort, many are still not coming into contact with the gospel. London City Mission has an opportunity to serve God by seeking to extend the kingdom into the least reached parts of this city. By least reached we mean those who are least likely to be reached by local church evangelism. Examples of London’s least reached are those living in the neediest districts with little contact with the church, new immigrant communities and isolated elderly people. We are talking about those who are often beyond the reach of the local church. We give thanks that we have always been able to faithfully take the good news of Jesus to London’s least reached in a wide range of places appropriate for the times; in the past those places have included post offices, railways and taxi ranks, and in the future we will continue to reach men and women in communities of need across London, including prisons, schools and old people’s homes. Of course, focusing on London’s least reached is not a new idea. Our founders were burdened by the great gospel need of the day; mission to those the established church was not reaching. We are encouraged by the knowledge that our mission for the future is in continuity with the original calling of London City Mission. What does change mean for London City Mission? In light of the work we have done over the past year, the Board of London City Mission has approved a plan to help us fulfil this vision for mission. In the months and years ahead we will take a number of steps to ensure that everything we do is in line with a strategy to reach London’s least reached and support the church of London in evangelism. Developing new ministries to the least reached. Over 180 years the Mission has experienced many changes, and known God’s grace throughout them all. Change can be difficult, and we pray that God will bless and guide us in the months ahead. In the midst of difficult decisions and changes, we will continue our patient, sensitive and individual evangelism to London’s least reached, we will continue our kingdom-focused work, and we will continue to seek to increase our gospel impact in this city. We pray that because of these changes we will see more people engaged in fruitful gospel ministry. Grow the number of volunteers and ministry trainees, and mobilise many Christians in London to get involved in evangelism and gospel work. Thank you for your partnership in the gospel. Please pray with us as we implement these changes and adjust to new ways of working. For some, change is like a breath of fresh air; for others it’s difficult and upsetting to step away from one ministry to focus on another. Pray for grace and wisdom as we move ahead, and, above all, that God will use this renewed focus to bring more people into his kingdom.